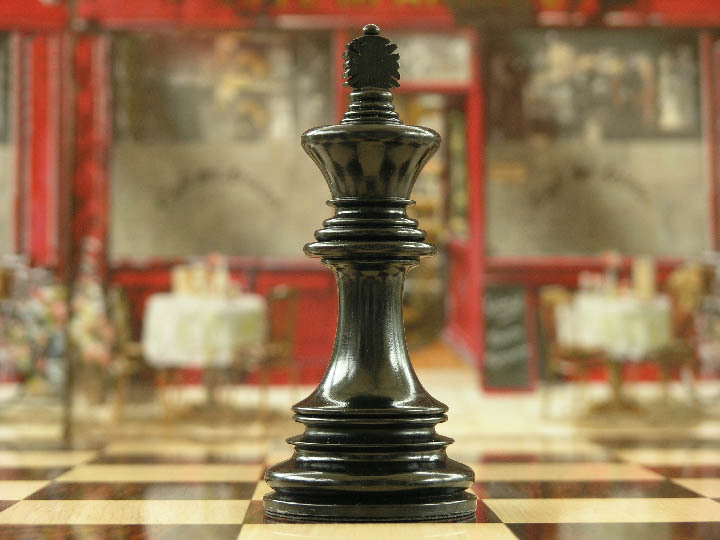 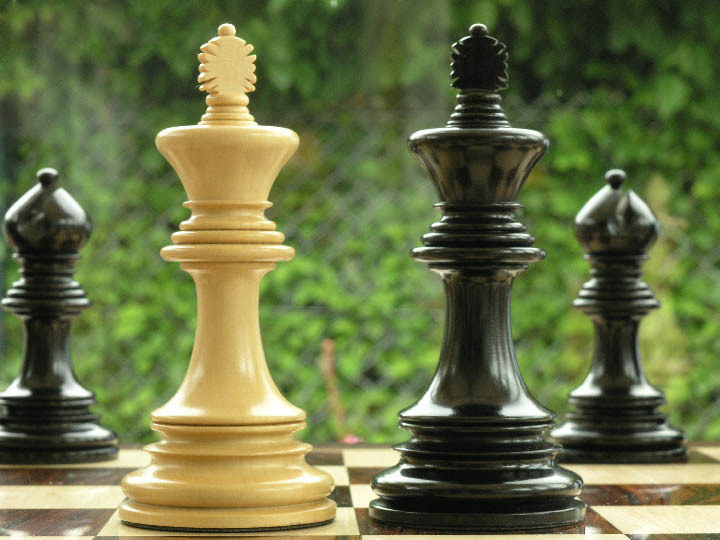 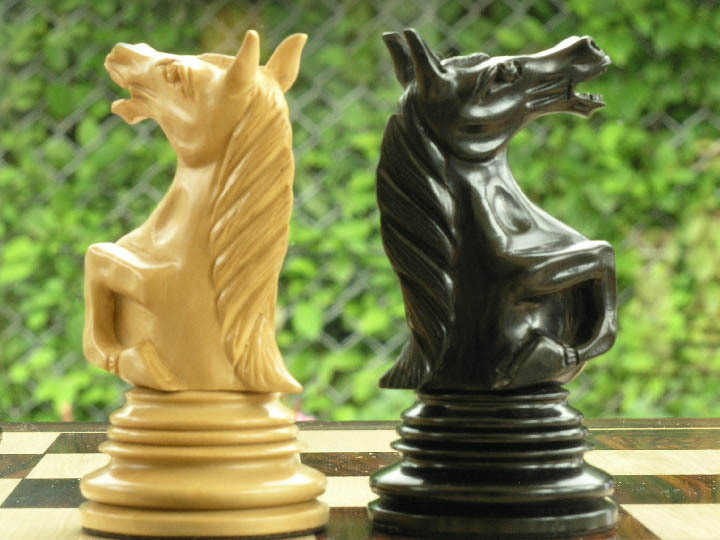 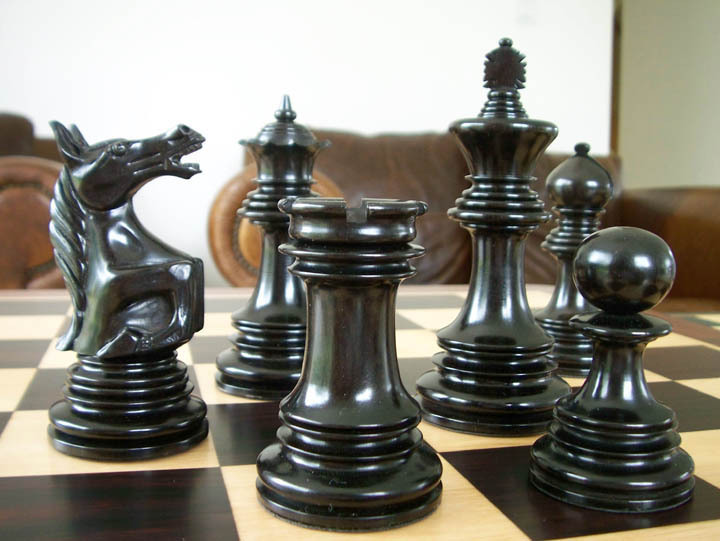 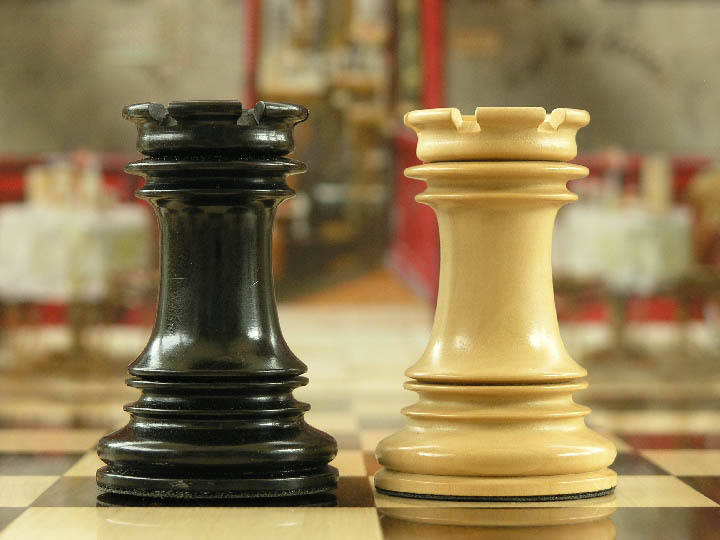 This product from Chess Baron: Ebony version of the Ashia. 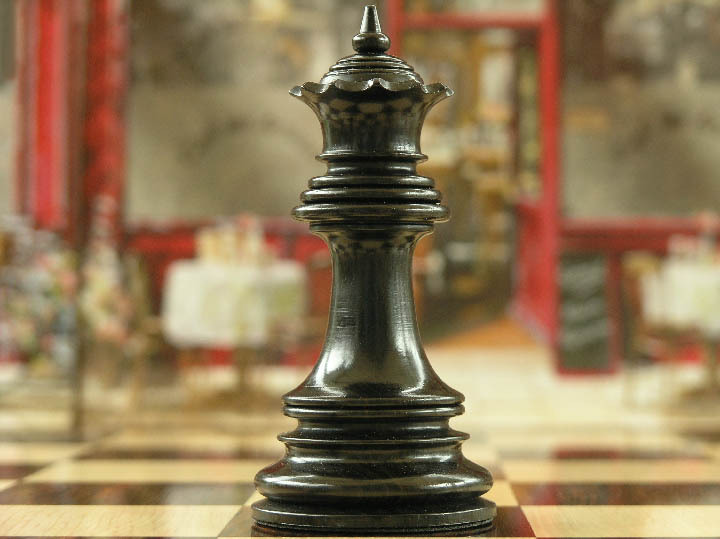 Staunton with a poise that is nothing short of dramatic. 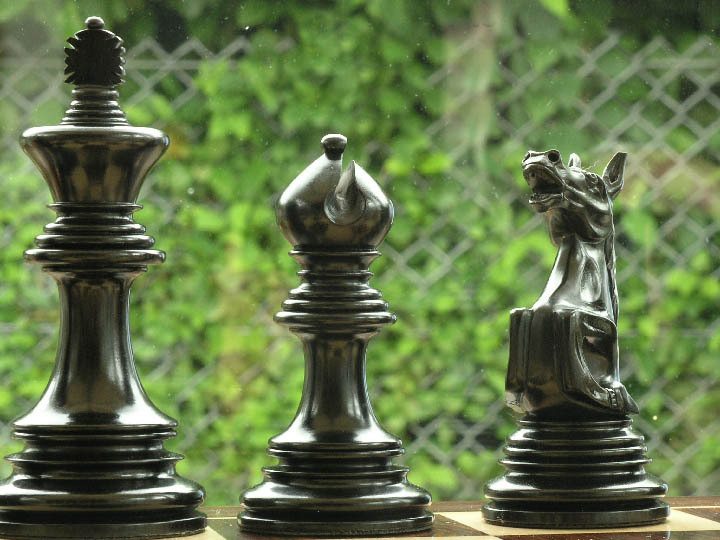 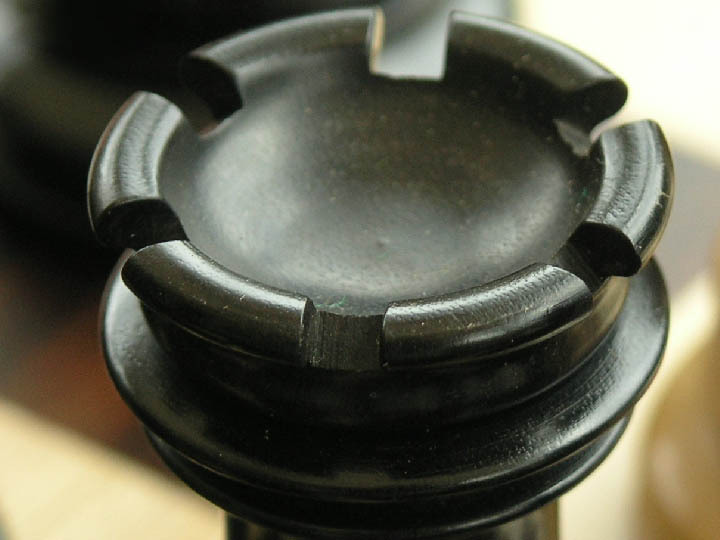 The traditional ebony is challenged by the knight's position with a result that works. 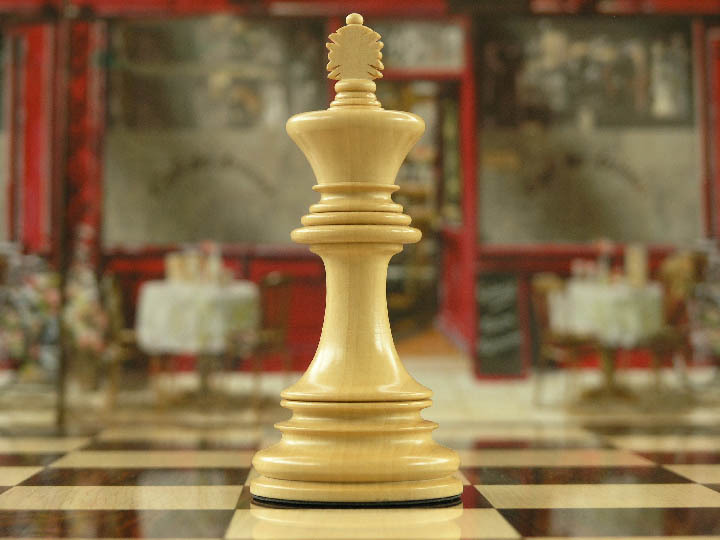 How can you accept a standard staunton after seeing this one? 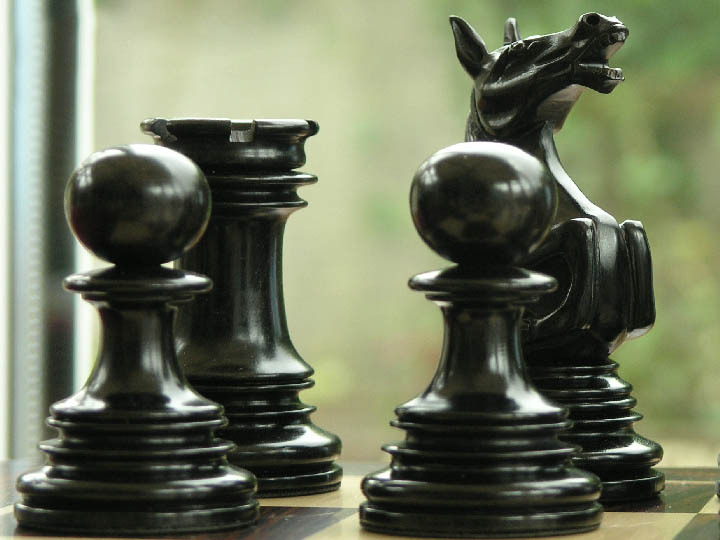 Triple weighted, leather bottomed and double queened, the Ashia is an interpretation that is worthy of the finest wood sculptor.